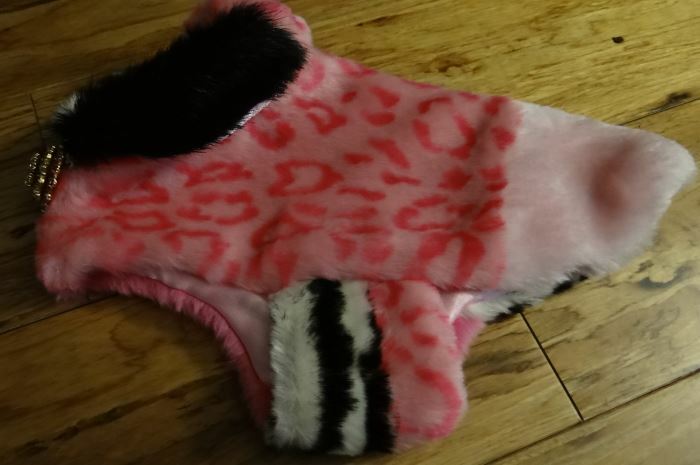 This Pink Faux Fur Animal Print Dog Coat in XXS Size is an adorable very plush faux fur animal print coat. 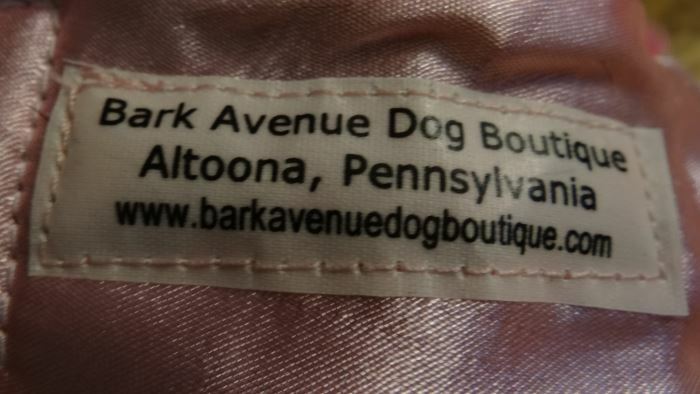 The is an original designed by Bark Avenue Dog Boutique. You will never see another one like it in a XXS size (There was another one designed like it in an x-small size). 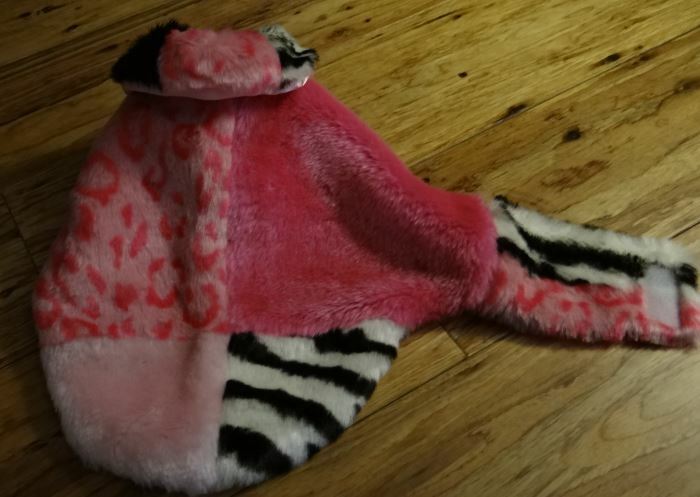 Your little girl puppy will look like a million dollars when she steps out in this coat. She will never get cold during the winter weather wearing this coat. 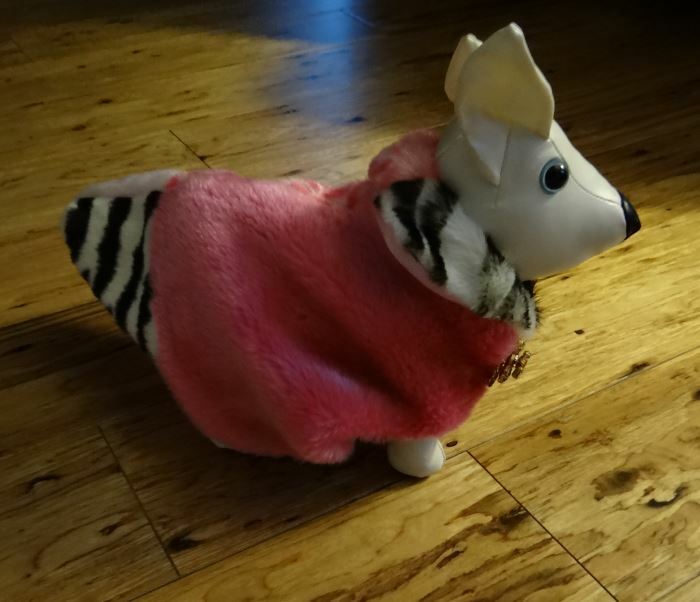 The Pink Faux Fur Animal Print Dog Coat is made of a very thick plush faux fur consisting of squares of black, pink leopard, white and black striped tiger and solid pink. 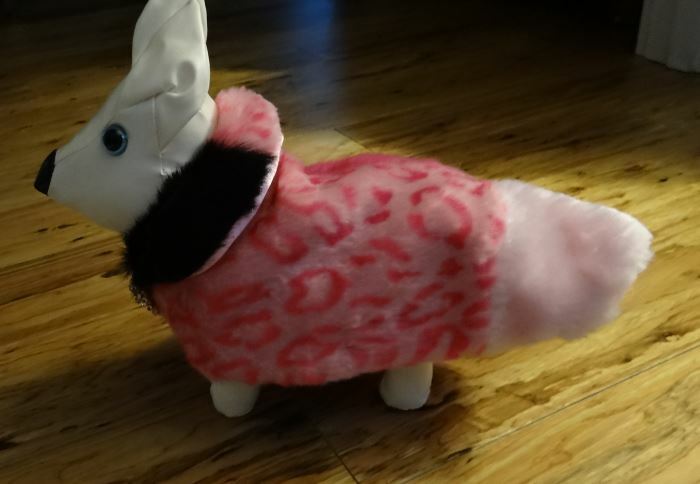 The squares are pieced together to create this unusually unique designed coat. 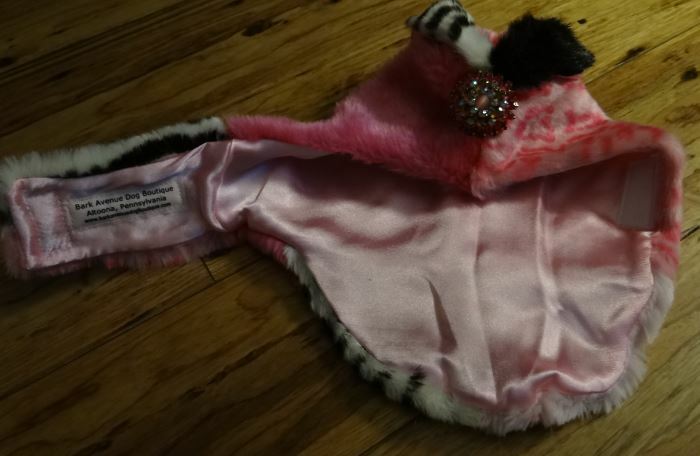 The collar is black faux fur with the rounded edges. 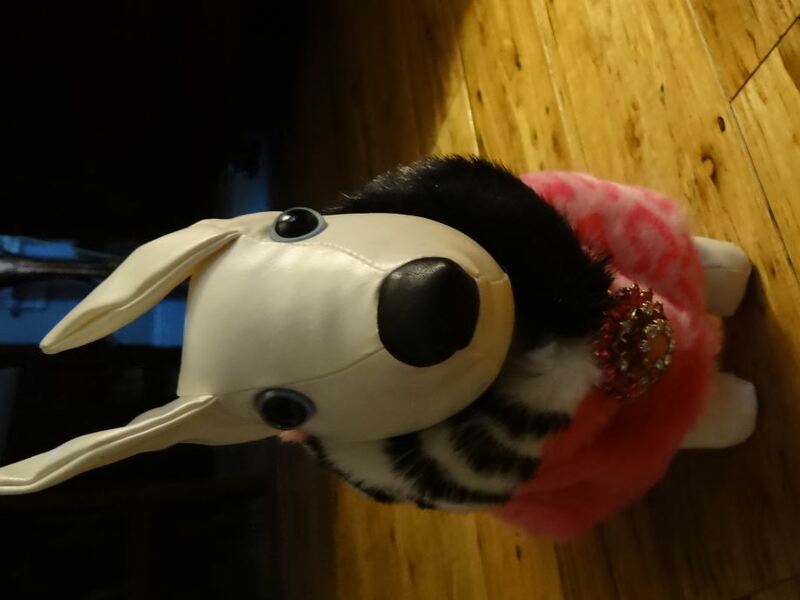 The coat is fully lined with a light pink satin fabric. 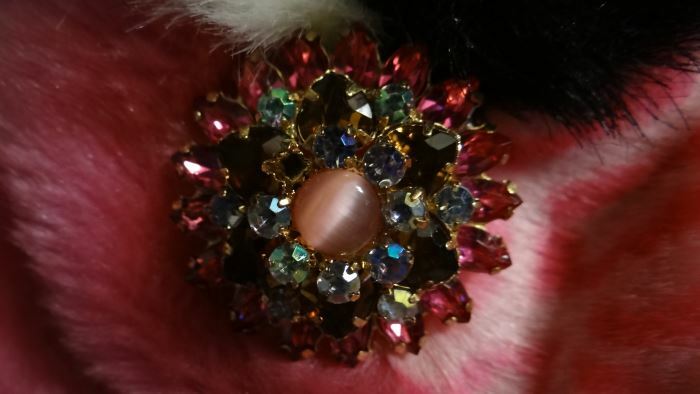 Embellishing the neck of the coat is a large pink rhinestone broach. Please review the sizing measurements below. Depending on your dog's size, fitting may vary as to what's shown on the dog model. The coat measures 8” around the neck, 9 ½” from the back of the neck to the edge of the coat and 14” around the tummy. NOTE: Do not pace in the dryer. It will cause the faux fur to clump and matte.